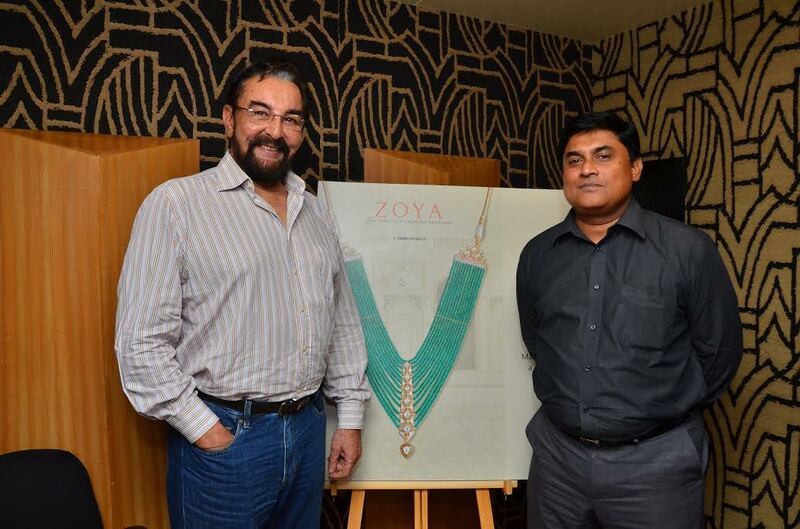 Zoya, a luxury diamond boutique from the House of Tata offers exquisite jewellery that has been created for the design-seeking woman with an international sensibility and an appreciation for fine craftsmanship and unique design. This season, Zoya launches a new set of commercials that brilliantly captures the precision of master craftsmanship and showcases the unique inspirations from around the world that come to life in its jewelry. The series of short films are narrated in the well known baritone of legendary thespian Kabir Bedi. Ancient cultures, forgotten relics, exotic fabrics, a sudden burst of stunning jewels - all capture the very soul of each inspiration with skilled workmanship. Zoya is a gallery of fine art and in its incessant quest for unique inspirations goes on a voyage around the world, through its compendium titled ‘Zoya Masterpieces’. The muse lies in the mythology of Greece, intricately woven French lace, the graceful moves of Spanish Flamenco dancers and returning to Benaras, the oldest living city in the world, is enchanted by the ornate temple spires. These inspirations are beautifully transformed into opulent pieces of jewellery encrusted with the finest diamonds, precious stones and the purest of gold. Zoya contemporizes illustrious and iconographic design sensibilities interpreting it traditionally and fashionably.